The evening of 24 July will be the audio-visual and fireworks show of the Fuegos del Apóstol, as the high point of the celebrations for the patron saint of Santiago de Compostela. 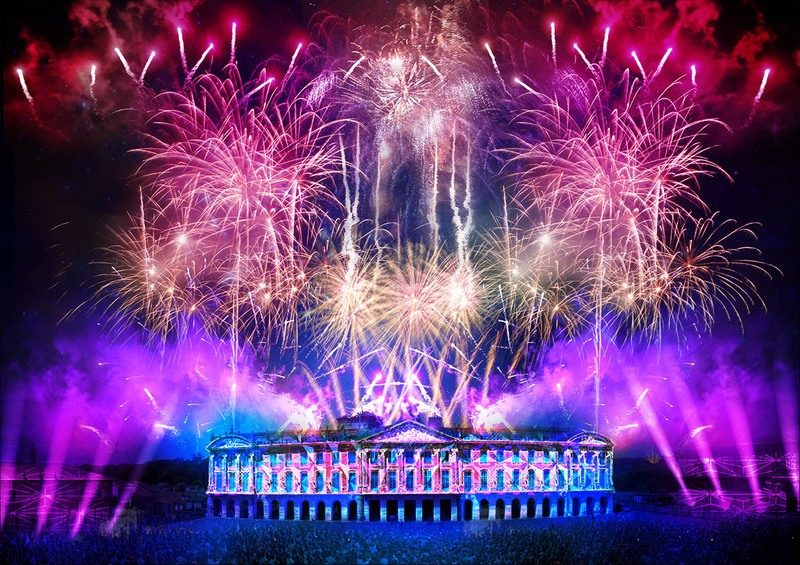 ACCIONA Producciones y Diseño has been the company chosen for the design and production of the show, which this year will include projections with three-dimensional effects made using mapping techniques, 360-degree-lighting, music and fireworks. 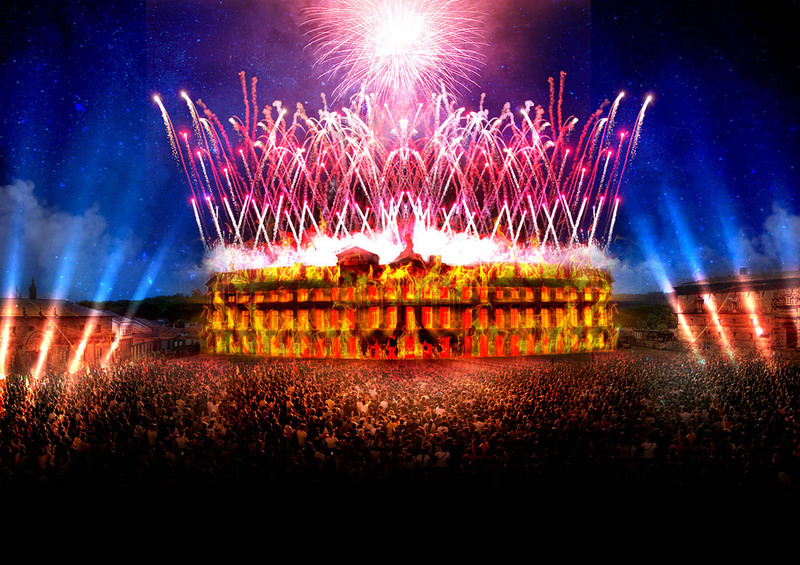 The Fuegos del Apóstol can be seen on the night of July 24 at 23:30 on the facade of the Palacio de Raxoi, in the Plaza del Obradoiro, and will repeat, although without pyrotechnics, on the 25th and 26th at 22:30 and 23:30. 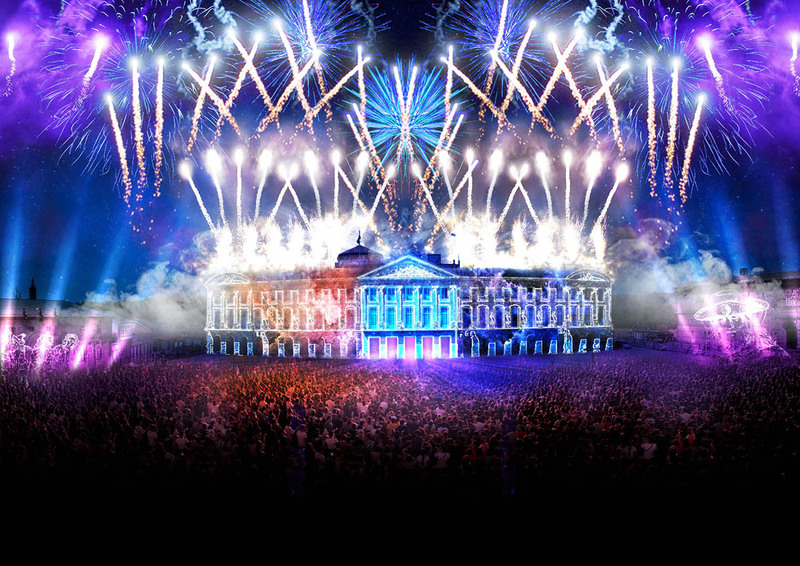 The show will combine projections using the 3D mapping technique, with 360-degree-lighting effects and fireworks, elements in the narrative that will come alive for more than 5,000 spectators, according to estimates based on previous years, a truly memorable experience. 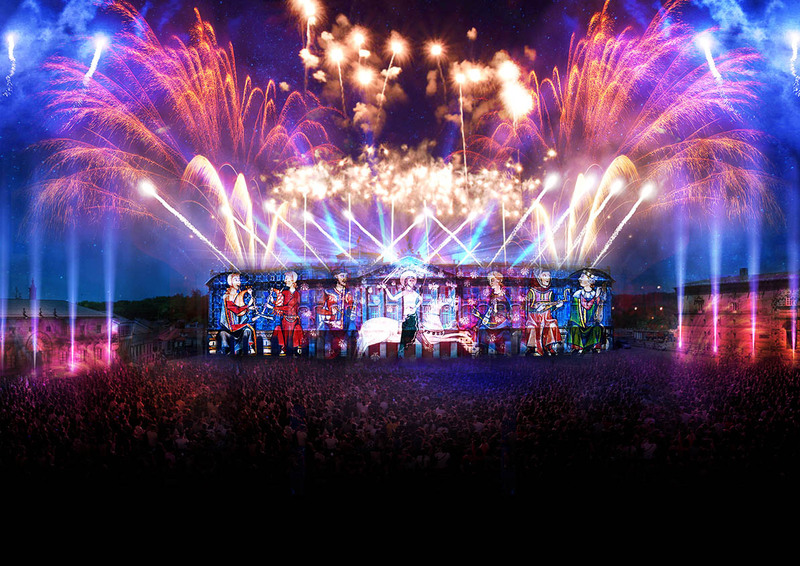 ACCIONA Producciones y Diseño will install 10 video projectors, with 22,000 lumens each, 32 mobile lights and 4 sound towers with a total power of 40,000 W.
This year, the show will focus on the city’s tradition, delving into the origins of the celebration of the feast of Saint James, recalling, for example, the Fiestas del Cendal, which until the end of the 17th century were the popular way to celebrate the feasts in honour of the Apostle Santiago. The Camino de Santiago will also have an important role, showing different representations of the Apostle throughout the history of art throughout the world. Also, illustrious characters from the city will take part in the narrative, playing homage, and will rescue all the ephemeral designs from the facades that served as decoration for the traditional burning of the facade. Finally, the ACCIONA Producciones y Diseño proposal includes, like every year, a fireworks show on July 31st, from the South Campus stairway in Alameda, which will last approximately 18 minutes and will be visible from most of the city. ACCIONA Producciones y Diseño has been responsible for the design and execution of the show for the Fiestas del Apóstol (Apostle Festivities) on eleven occasions. This show has been awarded with the Prize for the Best Cultural Event in Europe at the European Event Awards (EuBEA) and the Jury Grand Prize at the Eventoplus awards in 2012.